Paul William Walker (12 September,1973 – 30 November, 2013) was an American actor, best known for his role as Brian O’Conner in The Fast and the Furious franchise. Walker first gained prominence in the year 1999 with roles in the teen films She’s All That and Varsity Blues. In the 2001, he gained international fame for his role in the street racing action film The Fast and the Furious, a role Paul reprised in five of next six installments, but died in the year 2013 in the middle of filming Furious 7. Walker began his career guest-starring on the TV shows like The Young and the Restless and Touched by an Angel. He later starred in the films such as Joy Ride, Timeline, Into the Blue, Eight Below and Running Scared. He also appeared in National Geographic series Expedition Great White and in ads for Davidoff Cool Water cologne. He founded the disaster-relief charity Reach Out Worldwide (ROWW) in response to 2010 Haiti earthquake. Walker died on 30 November, 2013 at the age of 40 as a passenger in a single-car crash alongside friend and the driver Roger Rodas. Walker was working on three films at the time of his death which were released posthumously: Hours, Brick Mansions, and Fast and Furious 7. Actor Paul Walker also had a great car collection of about 30 cars, a portion of which he co-owned along with Roger Rodas. BMW introduced the E36 generation M3 in the year 1992, as the second iteration of wildly successful and popular M3 model line. Besides the styling changes, E36 added two cylinders, the VANOS valve timing, and even a four-door variant. For American market E36 M3s, the power was up to 240 horses and either 225 or 240 lb-ft of torque depending on the model year. But the most important aspect of this car was its incredible handling and balance. Today, slicktop E36 M3 examples are the highly sought after, but probably the most desirable edition is the M3 Lightweight. 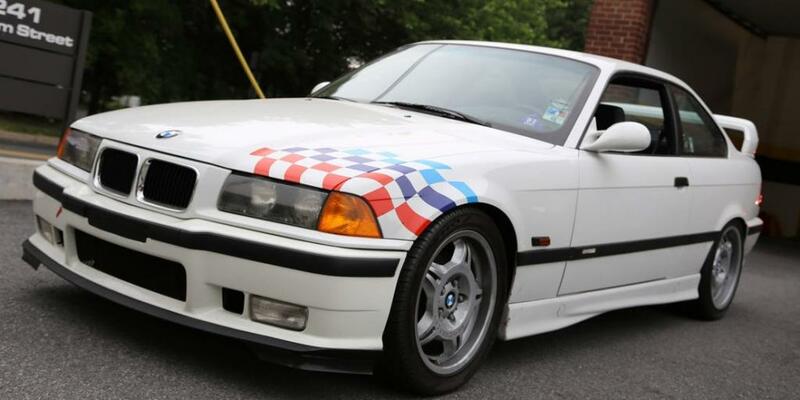 Quickly identifiable thanks to distinctive BMW racing decals on front and a large rear wing at the rear, the E36 M3 Lightweight reduced the cars heft by around 200 pounds thanks to the use of aluminum in the doors, less sound deadening and insulation, radio, and sunroof deletes, as well as the forged alloy wheels, a special 3.23 limited slip differential, and the carbon fiber trim pieces. Only around 125 Lightweights were ever produced, and amazingly, actor Paul Walker owned seven, allowing him to enjoy one while keeping the rest in close to showroom condition. One even had less than 100 total miles on it, making it possibly best example known. BMW’s E30 M3 is the first in a long line of the upgraded 3 Series cars that have become some of the best loved and most sought after sports cars in the history of the world. Today, BMW churns-out an M variant of most of its cars, but when E30-M3 debuted in the year 1986, it was only the third M car at the time after the inaugural M1 and the M5 sports sedan. 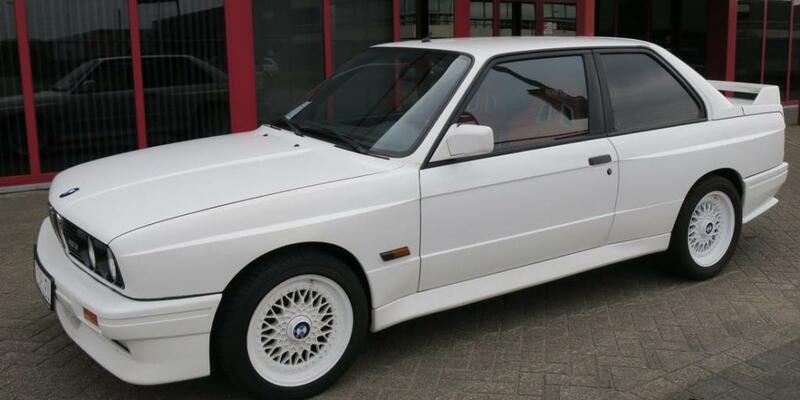 The E30-M3 proved a capable competition racer and a highly desirable road car for lucky few able to daily drive them. Upgrades over the standard E30 cars included easily identifiable and dramatic box flares, an S14 engine that upped the displacement to 2.3 ltrs. and cranked out up to 197 horsepower out of only four cylinders, the limited slip differentials, and an optional dogleg transmission. Bigger wheels featured a five lug setup, while the suspension geometry was revised with increased caster, the sway bars, and aluminum control arms. Only just over 16,000 examples were ever produced – less than any other M3 model since then, and it should come as no surprise that actor Paul Walker, who loved his lightweight sports cars in the real life as well as on the screen, owned an E30 M3. The M1 is the aptly named first M car that The company BMW ever produced, and today is one of the most collectible cars on the planet. Originally built to satisfy homologation requirements, it is truly a race car built for the road, and was originally proposed as a joint project to be developed by BMW company and the Lamborghini. The final outcome was entirely BMW and however, set the stage for the German manufacturer’s future automotive products. The M1 is first of only two BMW models to feature a mid-engine layout (other being the i8) and was powered by an inline six engine which cranked 273 horses to the rear wheels. While those figures may not sound impressive today, during M1’s 1978 to 1981 production run, pairing that kind of power with the handling that a mid-engined BMW could offer proved to be a successful combination, especially in the competition tune when engine could crank out up to 470 horsepower way up at 9,000 RPM. Only 453 M1 cars ever came out of the factory, and a fair amount were used in the competition, and many M1 examples now sit in the premier collections around the world. 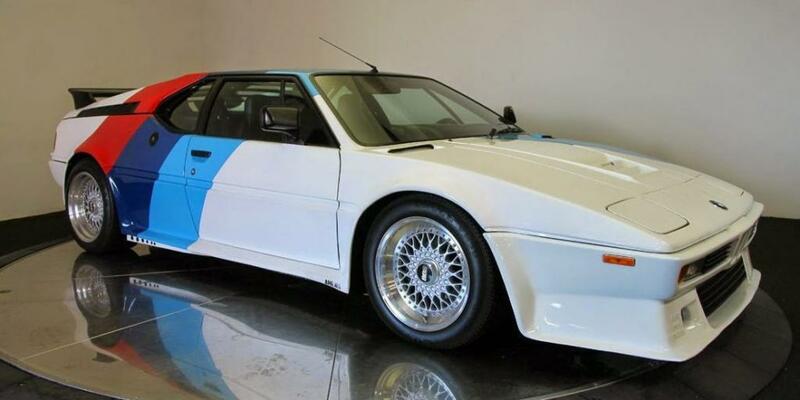 Actor Paul Walker’s M1 featured a classic BMW paint scheme – white with BMW’s iconic M car racing colors. Actor Paul Walker clearly loved his BMWs, and seems to have preferred them exclusively in the white. For any fan of the German manufacturer, Paul’s collection includes some of the greatest highlights the brand has ever been produced. Included in the wide range of his BMWs is Paul Walker’s 850CSi, the top of the line when it comes to the BMW’s touring coupe. Rather than create a production vehicle based around an M8 concept car, the BMW decided – likely because of a high curb weight over 4,000 pounds – that the car couldn’t quite live up to the M badge’s high performance standards, and instead produced 850CSi. 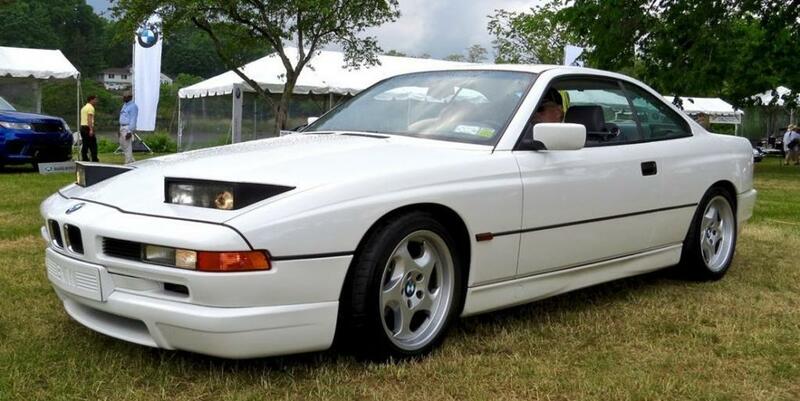 With a version of other 8 Series cars’ V12 under the hood that was refined so extensively that BMW even changed its designation code, the 850CSi offered 375 horsepower and 410 lb-ft of the torque, while suspension revisions firmed up the ride, lowered center of the gravity, and greatly improved upon the otherwise disappointing handling of the rest of 8 Series lineup. A six speed manual transmission was offered, and its probably safe to assume that actor Paul Walker chose to find an 850CSi with the stick shift given the rest of his incredible collection, as well as focus that clutch the pedals and shifters received throughout the Fast and Furious franchise. 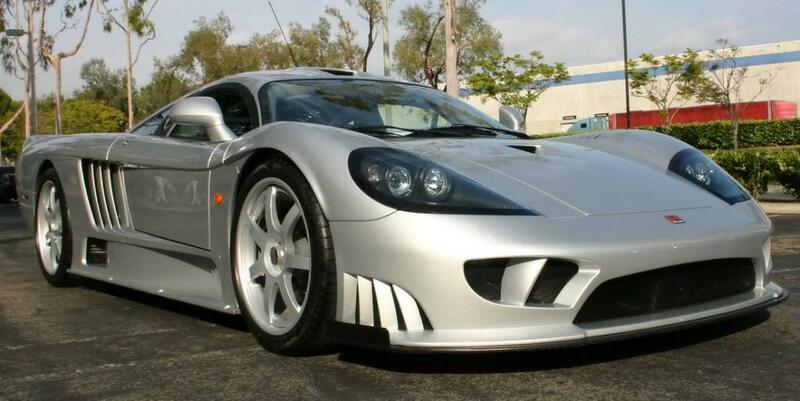 The Saleen S7 is widely considered America’s first true super car. Though Saleen is most commonly known as a tuner – mostly of the Ford Mustangs – the brand also manufactured their own purpose-built race car from the year 2000 to 2007, with a variety of the versions also available as road-going production vehicles. The S7’s dramatic styling may seem excessive, but every fascia and vent on this car has a distinct purpose, and at time of its introduction S7 represented the pinnacle of automotive technology. That long and low body is built mainly from the carbon fiber, while the chassis is a honeycomb construction space frame design. The mid-mounted engine is an aluminum version of the Ford’s 7.0-liter overhead valve V8 that produced 550 horsepower initially. Eventually, Saleen released a twin turbocharged S7 that upped output to 750 HP and 700 lb-ft of torque, dropping a 0-60 run down to only 2.8 seconds. Further improvements to aerodynamics allowed S7 to produce it’s own weight in downforce at high speeds, and S7 was estimated to reach 248 MPH. Final iteration of S7 was a competition package on twin turbo variant that further bumped power up to 1,000 horses, an insane stat considering car’s sub-3,000 pound weight. In the year 2004, Ford company started the production of a modern version of most significant car in the history of American motoring. Original Ford GT40 was the result of a team up with Carroll Shelby, who had previously used the Ford motors in his iconic Cobra sports cars. GT40 was designed with one purpose in mind: beating Enzo Ferrari and it’s racing team at it’s own game. GT40 was successful, winning the 24 Hours of Le Mans in the year 1966 with a 1-2-3 finish and then going on to win three more consecutive runnings of historic race. The new GT dropped the ’40’ in its moniker, given its actual height of 43 inches, but otherwise continued on original car’s incredible style and the performance. A mid-mounted, supercharged 5.4-liter V8 cranked out, 550 HP and 500 lb-ft of torque, routing all that power to the rear wheels through a six speed manual transmission and limited slip differential. A 0-60 run took only 3.3 seconds, on the way to a top speed of 205 MPH (though modified GT cars have recorded speeds north of 290 mph). The fourth generation Toyota Supra that actor Paul Walker owned, is a modified version of one of the most impressive cars of its time. A80 Supra debuted in the year 1993 with an optional twin-turbocharged 2JZ-GTE inline six engine, created up to 320 HP and 315 lb-ft of torque. Among the tuning crowd, 2JZ-GTE is legendary and modified versions regularly exceed 500-600 horses with increased boost and the improved air to fuel maps. A variety of Supra exist, from targa top to the automatic transmissions and stick shifts, but one of the best first step mods for the car is to switch from twin-turbo setup to a single turbo. The single turbo conversion sacrifices lower end grunt of the twin-turbo design but increases the high-end horsepower. And with a stick shift transmission allowing driver to make sure the engine is revving at or near red-line, single turbo offers an attractive package to help combat the Supra’s relatively higher weight of around 3,300 pounds, when compared to its contemporary competition including Honda/Acura’s NSX and Mazda’s RX-7. 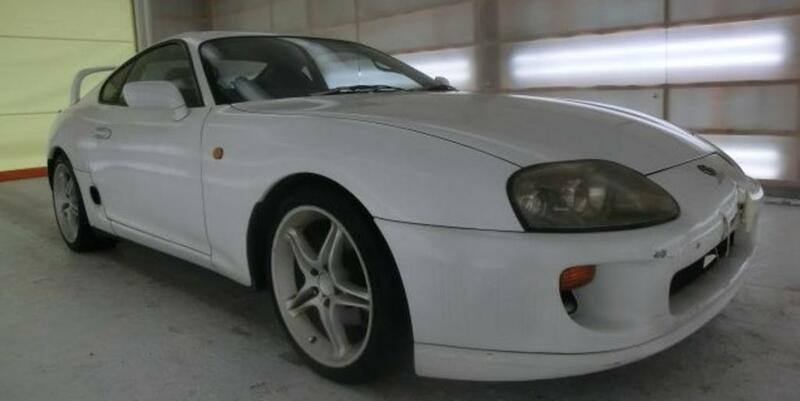 Actor Paul Walker obviously thought the conversion worthwhile, and his white Supra probably comes close to being one of the most classic Japanese domestic market style cars in his collection. In the Fast and Furious franchise, a wide range of movie stars drove a wide range of cars – some truly impressive and some that are mostly just for show. The cars themselves, while central to the films, are never true stars of the show, or at least not as much as Eleanor is for the film Gone in 60 Seconds. In the more modern film, released in the year 2000, perhaps an even more iconic version of Eleanor figured centrally into the plot as part of Nicolas Cage’s haunted backstory. Cars used for the film were actually a variety of re-production Shelby GT500 clones, the grey paint job and the black racing stripes paired with Mustang’s already aggressive lines to make this car a newly minted movie star. 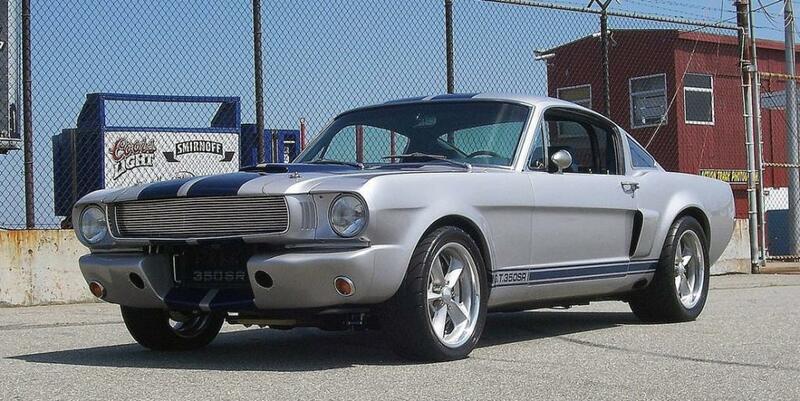 An authenticated Eleanor used for principle and the promotional photography sold for $1,000,000 at auction in the year 2013, a surprise given that none were true Shelby’s. 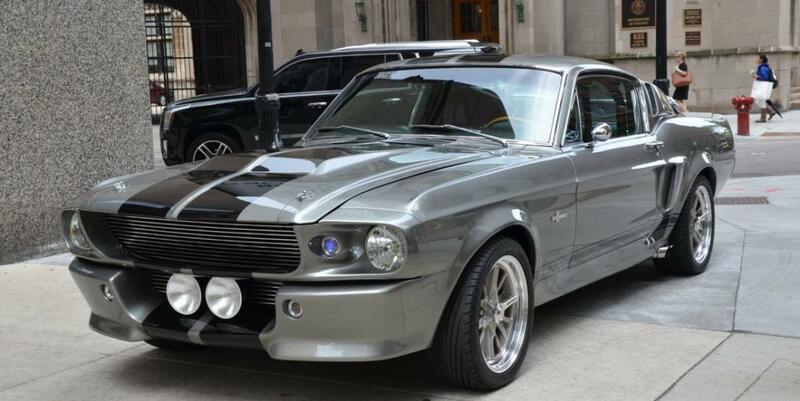 Walker’s car is a recreation of 2000 film’s Eleanor, complete with the matching paint, stripes, wheels and all. Though not used in the filming, car’s looks help it stand out even in an incredible collection like Walker’s. Eleanor is not the only Shelby Mustang that Walker owns, but he also owns a 40th anniversary special edition fastback GT350SR. GT350SR models were produced to celebrate iconic GT350, and feature a modern take on the original American muscle car. Chance are, Walker’s GT350SR packs a walloping aluminum 427 V8 under the hood, churning out 585 HP through a Tremec five speed and 9-inch locking rear differential. Though, GT350SR is a re-production that was in fact licensed by Shelby, there are other major upgrades that allow the car to greatly outpace its predecessors. Tubular reinforcements to the body and chassis increase rigidity, while suspension components follow the same design as original cars but utilizing the modern production metallurgy for race quality durability. Adjustable trailing arms, power steering and even a torque arm to help the rear diff stay in place with all that power are included in the package. Custom side exhaust should burble and snort like stallion the Mustang lineup was named after, making the inclusion of an AM/FM radio almost seem silly. Altogether, GT350SR is a striking version of one of the America’s most classic cars, built for the track crowd but equally comfortable on the streets of Hollywood. Paul Walker owned a number of Fox Body Mustangs, but the highlight of bunch is this Saleen modified example known as an SA10. The SA10 was built to celebrate Saleen’s first 10 years of modifying Mustangs, and only nine examples were ever produced, making SA10 one of the rarest Mustangs ever built, in any generation of long-tenured muscle car. SA10 happened to coincide with the final year of Fox Body Mustangs produced in the year 1993, and lucky nine buyers had to deposit a down payment and already be a member of Saleen Owners and Enthusiasts Club to be considered. They then sat down with Steve Saleen to figure out the exact details for their car – though all were built with a 1993 Mustang 5.0 LX hatchback as the basis. Options included the supercharger packages, the interior details, and more. Each car’s drivetrain and interior combination was totally unique, but it is impossible from the outside to know exactly what Walker’s SA10 specifications were because the exterior of each was only thing kept identical for all nine examples. Though Walker clearly leaned towards sports cars both new and classic for his extensive collection, he also had a couple of luxury touring cars, as well. Walker’s Ghost wore a matte blue wrap job, apparently a two step job that involved a blue under-wrap followed by a clear wrap. Matt Farrah claims in the video that the wrap job alone cost over $11,000, and gives no inkling for how much the enormous custom wheels that Walker’s Ghost rides on might have cost. 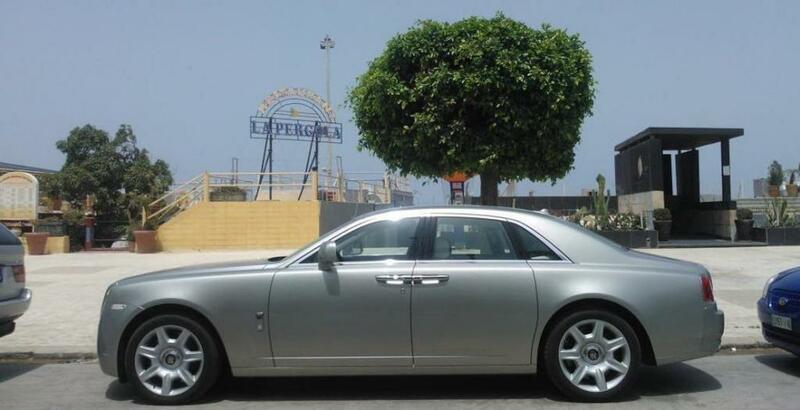 Regardless, adding $11,000 or a few thousand dollars more onto the price of a Rolls-Royce Ghost seems like small potatoes given the car’s intial price tag of at least $300,000. Even if it won’t keep up on track or in a street race with some of Paul’s other incredible sports cars, the Ghost offers a supremely comfortable way for a massive celebrity to cruise incognito. Actor Paul Walker’s character in Fast and Furious films takes road racing to a whole new (and often times highly illegal) level thanks to custom sports cars and wildly illogical yet fun and engaging plot-lines. In the real world, sports cars can best be enjoyed on winding mountain roads where safety is in the hands of driver, or on designated tracks, racetracks open to the public. 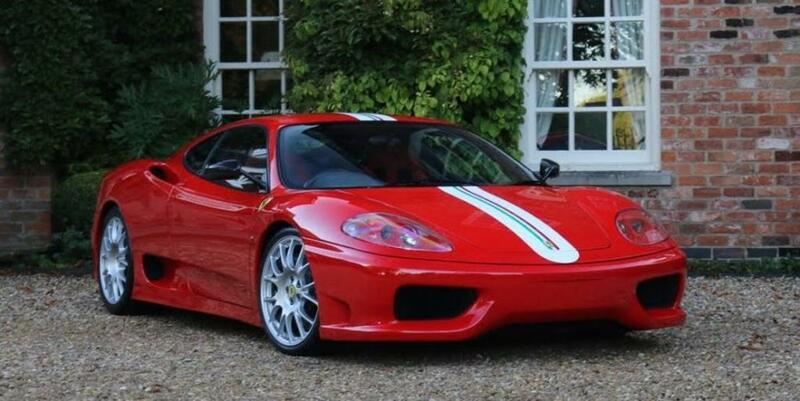 Walker’s Ferrari 360 Challenge Stradale is a special track-focused version of 360 Modena road-going car with a number of critical upgrades. Versus 360 Modena, the Challenge Stradale ups power by only 20 HP, but reduces weight and improves suspension dramatically to boost overall performance on the track. Tuned throttle response, ceramic brakes shared with Enzo, plexiglass windows, the carbon fiber mirrors and seat options, a tighter steering wheel, Resin Transfer Molding on bumpers and side skirts, and more were part of Fiorano Handling package that the Challenge Stradale offers and shaved up to 150 pounds off the already light-weight and impressive, base level Modena. A 0-60 run dropped to 4.1 sec, though acceleration was not as prioritized on the Challenge Stradale as much as the ability to keep speed high when cornering and during the braking. The Fiorano test track figures heavily into the history and development of Ferrari’s incredible cars, and facility’s name filters its way down through a wide range of options packages and the special edition cars that specifically deserve nomenclature. 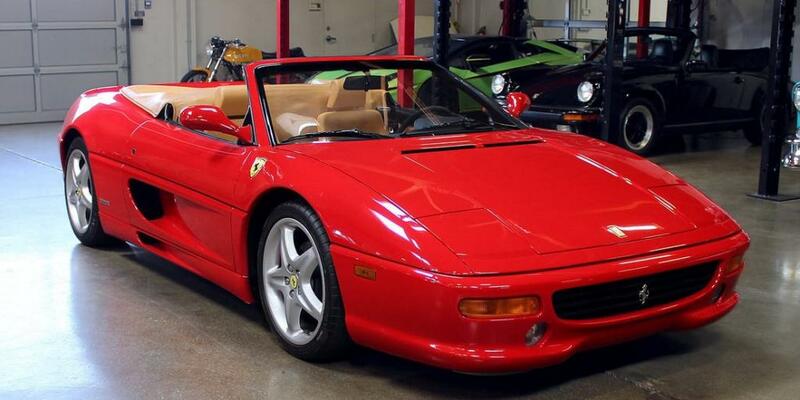 Case in point is, Walker’s Ferrari F355 Spyder, already an impressively well designed and powerful car that was only further enhanced for final 104 examples produced and named Fiorano Editions. Upgrades to Serie Fiorano (in Italian) versions adjusted the car’s track wider, added stiffer springs and thicker sway bars, and utilized vented and drilled brakes paired to competition brake pads. A Competizione-sourced steering rack improved the road feel and lock-to-lock time, while the carbon fiber inserts on center console, door sills, and even the paddle shifters helped to keep weight down. Horsepower peaked at 375 at a stratospheric 8,250 RPM, good for a 0-60 time of 4.5 sec on the way to a top speed of 183 MPH (when pushed past redline). An F1 transmission was most common choice, though a six speed manual was also available. One of the most quintessential Ferraris ever made, Testarossa reinvigorated the brand and ushered in a new design aesthetic with its 1980s side vents and the swooping rear haunches. Over 10,000 examples across three designs were built during a production run that spanned more than a decade, making Testarossa one of the most commonly sighted Ferraris of all Italian manufacturer’s many legendary productions. Despite the relatively frequent appearance of the Testarossas on road, though, every single one still turns heads and Paul’s black car is no exception. 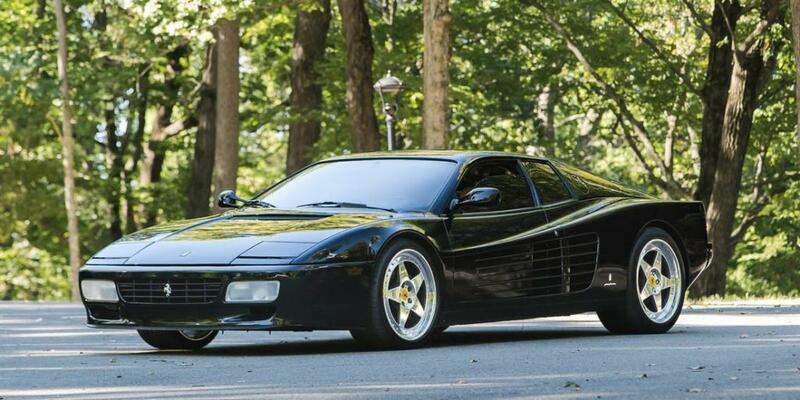 Mid-engined and rear wheel drive Testarossa offered impressive performance for its time. It was last of Ferrari’s mid-range cars to feature a 12 cylinder engine. In the case of Testarossa, V12 was a 4.9-liter flat 12 that produced 390 HP and 361 lb-ft of torque. The huge engine made Testarossa relatively heavy on its rear axle, although the second and third generations, known as 512 TR and F512 M variants, improved upon the bias slightly. Of course, Testarossa is a celebrity in its own right, as well, thanks to a central role in Miami Vice TV series, driven by Sonny Crockett as played by Don Johnson. Actor Paul Walker’s love for BMW products extended even to the after-market tuner Alpina, who has produced a plethora of performance and styling-enhanced BMWs over more than four decades of the work. The Buchloe-based company actually began its run by modifying BMW’s little 2002 model in early 1970s. 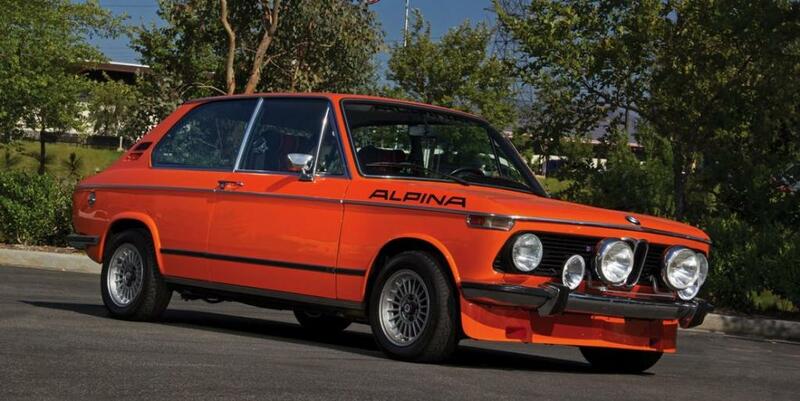 Besides the Alpina badging, a number of other modifications included a close-ratio dogleg five speed manual transmission, ventilated rear disc brakes, a limited slip differential with up to 75% lock, as well as upgraded Bilstein shocks, a closer ratio steering rack, and the extra gauges. The 2002, in Touring spec was a hatchback form of the BMW’s popular 2002 model, which was only built from 1971 until 1974 and actually proved relatively unsuccessful. Only 130 HP created by a 2000 cc inline four doesn’t sound like much today, but 2002 is a collectible car in any form, thanks to iconic style nimble driving characteristics, enhanced by Alpina’s changes. Though Paul might not had wanted the Alpina to race around the streets of town, it would be hard to imagine he bought the car simply as an investment. The second Fast and Furious film may have lost Vin Diesel as Walker’s outlaw counterpart, but movie got a huge boost by the appearance of a new star. Automotive enthusiasts the world over held their breath when Paul Walker’s character, Brian O’Conner, showed up for a street race in a JDM Nissan Skyline GT-R, fully modded out and even still the right-hand drive. Of-course, Paul Walker’s hero demolishes his competition in the car, and anyone who knew cars of that era probably recognized that just how potent of a car he’d brought to the table. The Skyline GT-R is a highly upgraded version of Datsun, Nissan and the original manufacturer Prince’s Skyline model line, though R34 variant is barely recognizable compared to first Skyline released in the year 1957. 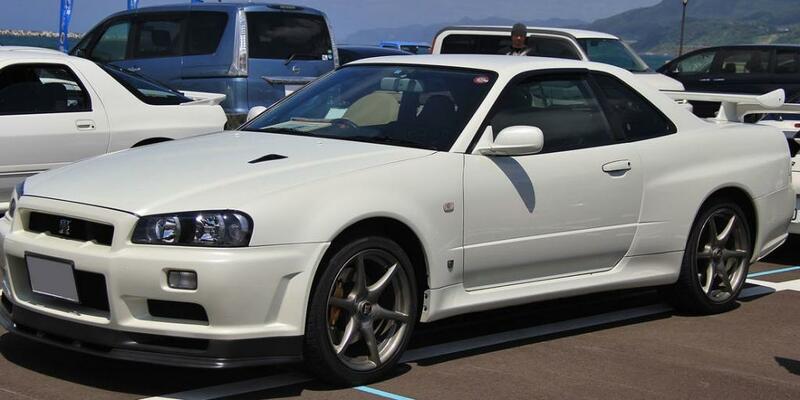 With the Skyline GT-R playing such a big role in Fast and Furious-2, it should come as no surprise that Paul Walker owned one in his collection – notably an R34 GT-R in V Spec trim. Various V-Spec levels added limited slip differentials, the aero packages, deleted features like radios and the rear windshield wipers, and more, but all shared the race-bred underpinnings of a twin-turbocharged inline six engine sending power to all of four wheels. A couple of Actor Paul Walker’s cars are straight up illegal to drive on streets of America, and especially California, as they were never imported to the states and do not meet the emissions requirements. The 25 year import rule means that these cars will one day be possible to register, perhaps out of the state, but currently Paul’s Nissan Silvia, an S15 generation, still requires at least six more years given its initial introduction in the year 1999. Nonetheless, Silvia is a popular car for tuners, given its simple design, light weight, and turbocharged inline four engine which produced up to 250 HP in stock form. Chances are Walker owned a Spec-R Silvia, which came with a six speed manual transmission, chassis reinforcements, larger sway bars and strut braces. A larger brake booster and a helical limited slip rear differential make Silvia in Spec-R trim very attractive in drifting scene and a modified Silvia plays a large part in The Fast and the Furious: Tokyo Drift. Even though actor Paul Walker didn’t play a role in that film, he no doubt appreciated Silvia’s role in the movie and in the culture that inspired the story. Hopefully he got some time behind the wheel, perhaps in remote hills outside of Los Angeles. 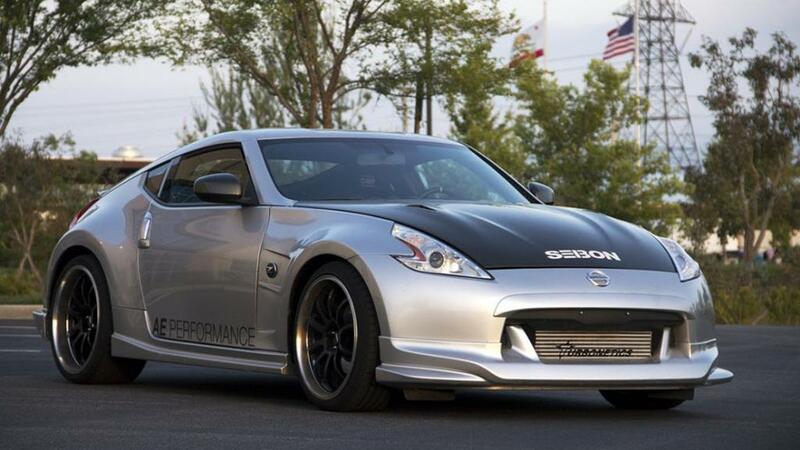 Nissan 370Z is the latest iteration of Nissan and Datsun’s long line of the Z cars, which all feature coupe bodies, the long hoods and straight six engines. Power and width have significantly increased since 240Z, but underlying principles remain same and help to keep each generation at the forefront of handling, style and comfort. Collecting cars from films that he either starred in or that played a major part in Hollywood’s continuously evolving car culture was clearly a major focus for Paul Walker, and Fast Five 370Z makes for a great addition to the collection. One of the most lasting and consistent images throughout the Fast and Furious franchise is of actor Vin Diesel’s Dom Toretto revving the enormous engine of his huge Chevrolet Chevelle SS, which dwarfs the rest of largely Japanese import automotive cast. From the first film when car is red to the third clad in primer as Diesel makes a surprise cameo in Tokyo, Chevelle always looks beefy and powerful in a quintessentially American manner, matching Diesel’s character in the power and intensity. Paul Walker owned a Chevelle SS, as well, though the convertible top alone is enough to differentiate it from exact car that Diesel drives through so much of the series. 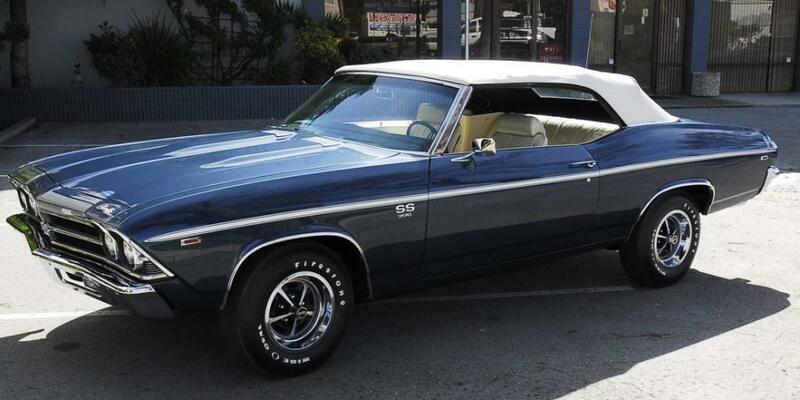 Still, second generation Chevelle, especially in SS trim, is an integral part of American muscle car history. Chevelle has the grunt to match its huge haunches and the intimidating front end. Other films featuring Chevelles have included Tom Cruise action flick Jack Reacher, as well as Bullitt with Steve McQueen, and Bad Boys IIstarring Will Smith and Martin Lawrence. The American muscle car phenomenon is a constant game of one-upmanship, adding enormously powerful engines to classically the penned body styles with goal of creating a new American master-piece. Paul’s Pro Touring Chevy Camaro is not just different, with an LS7 crammed under the hood that likely cranks out around 500 HP in stock form. Somewhere between a hot rod and a restomod, Camaro checks all boxes, with style oozing from every surface, including clean engine bay and modern wheels. While modern Camaros often exceed 500 HP from the factory, it’s important to remember that the first generation cars maxed out at 400 horses in highest spec Z/28 trim with dual four-barrel carburetors. Add in the probable inclusion of a 9-inch limited slip rear diff, modern five speed transmission, and all suspension interior goodies that bring the car up to snuff and the car probably approaches the performance of a modern Camaro with a much bigger coolness quotient. Though Paul’s cars tend towards the small and sporty, sometimes some big beefy power just rounds out a well put together collection nicely. 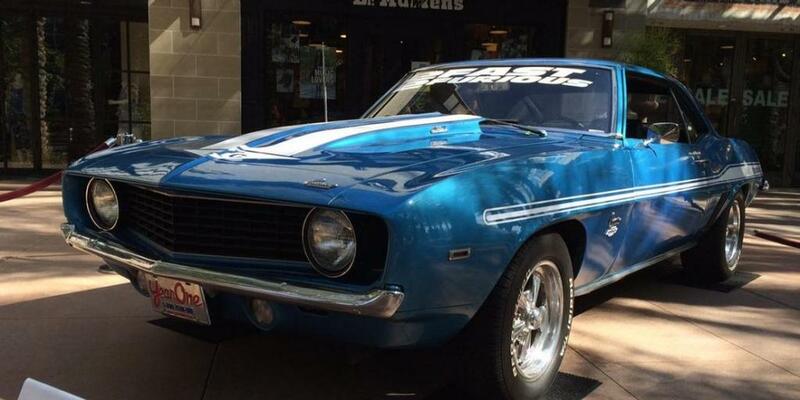 For serious car aficionados, watching Fast and Furious was like being a kid in a candy store. While first film in the franchise featured way too many front wheel drive imports with the body kits and the huge spoilers, second installation upped ante with cars like Skyline GT-R and little known Yenko Super Camaro – a limited run of cars that were built by the dealership owner and race car driver Don Yenko as a way to massage his way around corporate limits GM had put on Camaro engine size and the output. At the time, GM wanted to keep the Camaro in a certain class, even if that meant competition in form of Ford Mustangs and Dodge Darts were available with more power. These were the days when manufacturers were tripping over each other to crank out the bigger stats, so Yenko figured he’d go the same direction as Carroll Shelby and upgrade Camaros himself. The result features a 7.0-liter 427 shared with Corvette that made 450 HP. A fiberglass hood, heavier duty suspension, and 4.10 ratio rear differential rounded out the package, while the some cars even received an aggressively styled Yenko-specific rear spoiler. Few cars offer same level of sleepy speed as Audi’s B5 generation S4 sedan and the station wagons. Exterior changes over base A4 were kept to a minimum, but under the hood a twin-turbocharged 2.7-liter V6 produced 261 HP and 295 lb-ft of torque allowed B5 S4 to claim title of the world’s fastest luxury sedan at the time of its 1997 release. Pair all that power to Audi’s legendary rally-bred Quattro all wheel drive and a six speed manual, as well as a well-designed exterior and the fully loaded interior, and its no wonder low-mileage, the well-kept B5 S4 examples have retained so much of their value. For backyard modders and the professional tuners, B5 S4 is a highly sought-after commodity, thanks to the strength of its drivetrain and stoutness of the engine, which started life as a normally aspirated 2.8-liter V6 but received beefed up internals to handle the huge torque figures. With a couple of upgraded K04 turbos, improved air intake, and an ECU tune, a B5 S4 can safely churn out 400 HP and some cars push the limit well over 500. 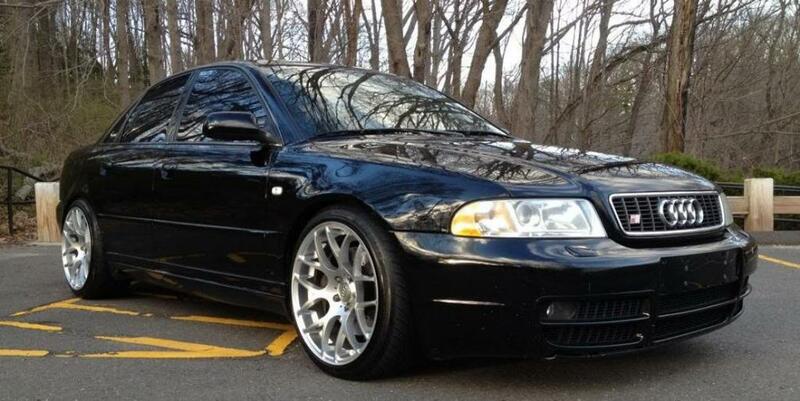 Paul’s B5 S4 looks to be lowered over aftermarket wheels, so it’s a safe bet the engine has been modded to match exterior style. When it comes to the outright performance and fun on a race track, it’s hard to beat the Porsche’s line of upgraded 911 models, the various generations of GT3 RS. With the introduction into 911 bodies of Mezger water-cooled engine that the Porsche developed for use in the GT1 competition race car, the German manufacturer opened up a world of possibility. First used in 996 Turbo, which produced 415 HP and 415 lb-ft of torque out of twin-turbocharged flat six engine, the Mezger engine proved reliable, powerful, and capable of so much more. The absolutely insane Porsche GT2 removes all wheel drive from Turbo, while upping the overall power sent to only the rear wheels. But while that kind of power can certainly seem intoxicating, many Porsche enthusiasts prefer GT3 RS, which in the 996 generation used a normally aspirated Mezger engine to power rear wheels with 380 HP. With a sky high 9,000 RPM redline, today’s GT3 RS models cut down on the weight significantly, allowing for a 0-60 sprint under 3.2 sec and a Nurburgring time under seven minutes. 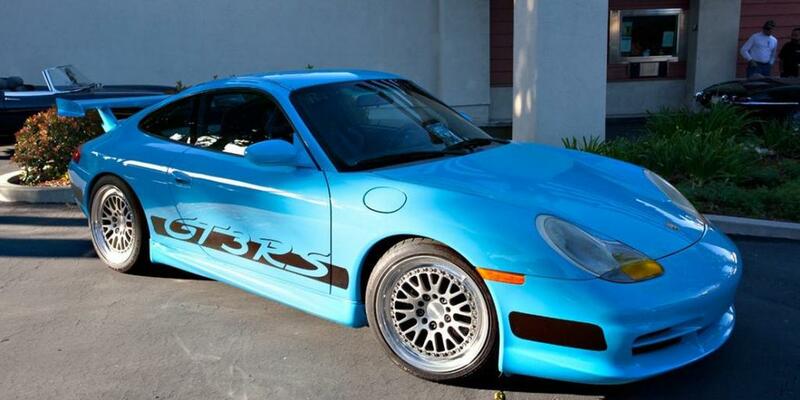 Paul actually owned three GT3 RSs, and one was featured for a short shot in the Fast Five. 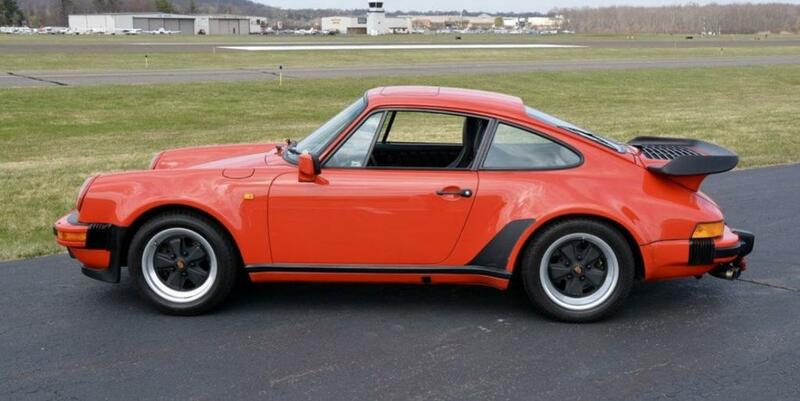 The Porsche 930 was the Porsche’s first production turbocharged car, and debuted in the year 1975 to widespread shock and awe. Initially intended to be a homologation version of the competition racer, the 930 ended up becoming a legend in its own right, thanks to a 3.0-liter flat six engine that produced 256 HP and 243 lb-ft of torque utilizing a single K03 turbo. The aggressive rear fenders, enormous rear tires, and a whale tail spoiler distinguished Turbo from its lower-spec stablemates, even if it had not quite received all wheel drive that would eventually become standard on the Turbo models. An even larger engine debuted in the year 1978 with displacement increased to 3.3 liters and the addition of an intercooler to improve the engine performance. Output increased to 296 HP and 304 lb-ft of torque, though weight also increased slightly. Suspension was tightened, while brakes from the 917 racer were sourced to help the cope with the added power. During 1970s, Car and Driver tested all of the world’s fastest and best cars, and both editions of 930 Turbo ended up besting rest of the world with a 0-60 time of 4.9 sec. Paul owned 2 930s, both in the Guards Red, so hopefully he had one of each. 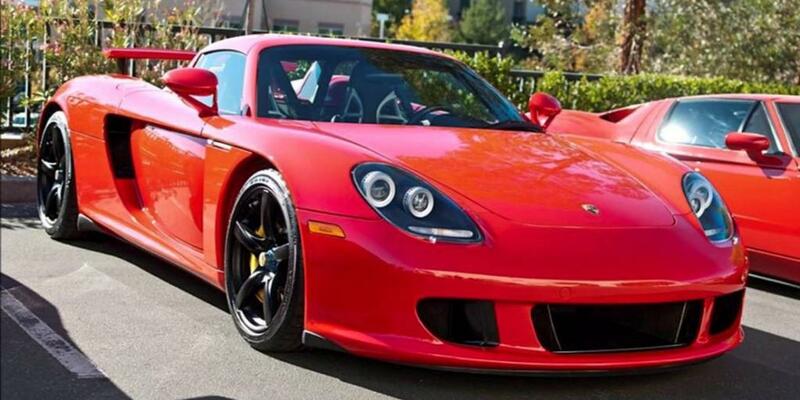 Porsche’s mid-engined Carrera GT began its development by stealing the components from actual competition race cars, but in the end became a monster of its own. Futuristic technology like a pure carbon fiber monocoque and subframe construction, the adaptive damping suspension, and the active aerodynamics set the Carrera GT apart from its competition, while mid-mounted 5.7-liter V10 sent 603 HP to the rear wheels through a six speed manual transmission. A 0-60 run took under 3.57 sec, while cornering achieved measurements of 1.4 g.
Of course, the Carrera GT had to come at the end of this list because of fact that the legendary and impressive feat of German engineering will eternally be connected with Paul due to his tragically losing his life in 2013 while riding in the passenger seat of his friend’s Carrera GT. The great mystery surrounding the accident was cleared up when the investigative report concluded that the car had been traveling between 80 and 93 mph – a speed typically well within Carrera GT’s capabilities but in this case car’s tires were too old to maintain traction. Some really great content on this web site, thanks for contribution. “A religious awakening which does not awaken the sleeper to love has roused him in vain.” by Jessamyn West.